We have a special announcement for you today! The micro:bit, an easy-to-use, beginner-friendly, reprogrammable microcontroller, is now available for pre-sale. Created as a collaboration between BBC and 29 partners, the micro:bit was designed to develop a new generation of tech pioneers. Previously only available outside the US, the micro:bit gained popularity after the BBC gave the board to every sixth grader in the UK last year. 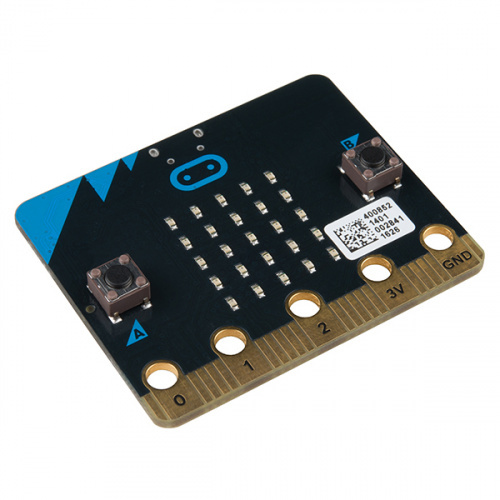 The micro:bit has a number of exciting features, including a 25 LED array, Bluetooth and USB connectivity, an embedded compass and accelerometer, and mobile and web-based programming capabilities. It's a great introduction to electronics and coding, and we hope to start shipping them in May!